A large study on 10 million people reveals the risk of traditional painkillers. Non-steroidal anti-inflammatory drugs (NSAIDs) are often taken to reduce flu symptoms, such as fever, and ease mild to moderate pain including migraine, toothache, period pain, muscles ache, strains and rheumatoid arthritis. These are anti-inflammatory drugs used to treat painful conditions like arthritis. They help reduce stiffness, swelling and pain. Taking these common pain killers over a long period most likely causes chemical reactions which puts strain on the heart and so increases the chance of heart attacks and stroke. However, the study suggests that the risk varies between drugs and depends on dosage. 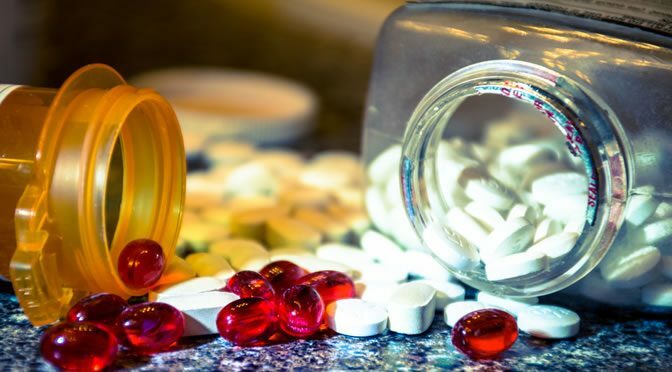 “People regularly purchasing NSAIDs over the counter, such as ibuprofen, should seek advice from their pharmacist or doctor. “The absolute risk is suggested to be about 37.5 admissions for heart failure per 10,000 person years. Because of the study design, it is possible that this is an over-estimate but it is of the right order of magnitude. The study was published in the British Medical Journal (Arfè et al., 2016).